I want to write a bit about our way of living at today's world. We are constantly sitting in our car, by our desk, with our laptop, iPhone, iPad and finally in the evening we are taking a peaceful moment by TV (Netflix, Amazon, streaming...) sitting again. Our kids are developing their thumbs and necks functional for only to look at those electrical devices. Is this the way it's suppose to be and are our bodies ready for this evolution? Which one you prefer: the spine that looks like reverse C or old-fashioned S? Healthy and flexible spine has it's natural curvature and still we all are individuals. 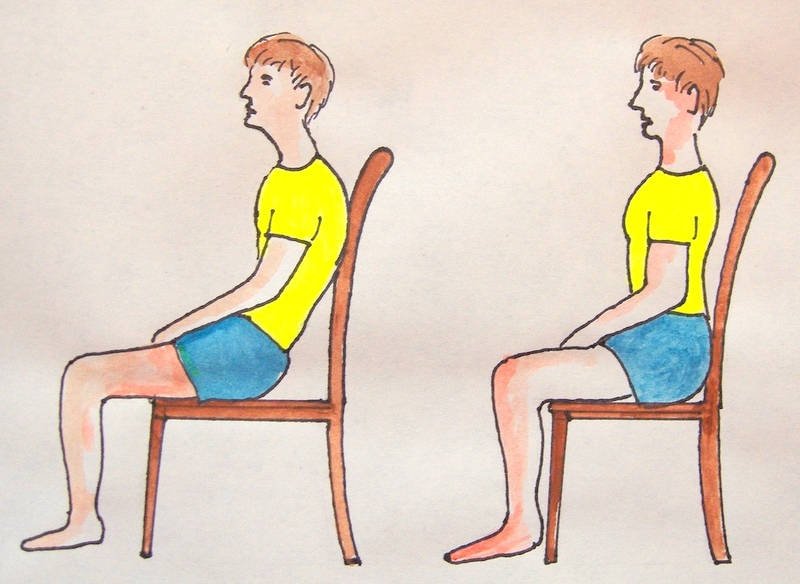 To keep your posture best possible for you acquires some work. Yes, to keep upright position today's world needs active moving, stretching, strengthening and many times also some help from professionals.Our lifestyle makes us hunch over and rounds the shoulders too much inwards and we have to do something about it. Every day! Many of my clients ask me one the most important questions: what kind of chair I should have? If I new the answer, I would be making and selling chairs! What do I mean by that? I want to pinpoint a few important things that I have learned during my training and working in the health field. 1. No matter how good your chair is, if you sit on it too much, you'll eventually get some problems. Our bodies are made for moving, not sitting a long periods of time. 2. There is no optimal car seat. Even if you don't have too short or too long legs or arms or your back is made for that particular brand's seat, you are using your right leg more than left one (yes, even if you have a manual shifts in your car) and that puts an imbalance to your hips. 3. Movement is the only way to activate your lymphatic system. There is no socks, no devise, no massage that can do it for you! Yes, we need to use some help to enhance lymph here and there, but we need to move (walk, run, stretch, jump...) to keep our tissues in good nutrition. You need to do the job yourself. I'd love to do it for you, but I can't! 4. If (well, when) we have developed some structural issues, usually I call it an imbalance between left and right, stretching, moving or strengthening isn't necessarily enough. Because our bodies tend to strengthen already strong muscles and stretch already flexible ones. That is your bodies job and our body doesn't do anything wrong. Our body just wants to be economic. Just like you want to keep sitting. 5. If you have any kind of structural issues, they need to be resolved for you to feel energetic, active and balanced. We have to re-educate the muscles to move optimally. We have to stretch the tensed muscles, then strengthen them, not in the opposite order. Your yoga classes will help you way better, if you can use your muscles, tendons, ligaments and other structures balanced and optimized way. My way of balancing the knee (quadriceps). 6. Balanced and optimized movement is always individual! Unlocking the locked tissues will help you to get the best movement out of you. I can do the unlocking and re-balancing with you, but I can't make you move. Only you can do that. And you need that movement. Follow my blog to learn more specific instructions and come to meetme. I'll help you understand your body's functions and your individual structure! That's also the way we move in my Stretching class. That is Kata's Way™. P.S. 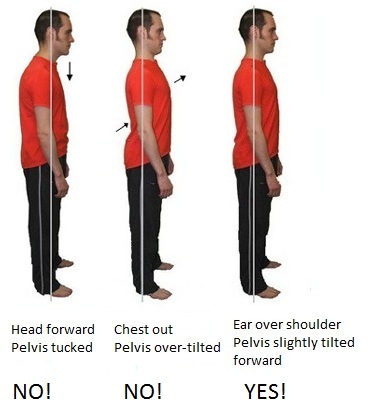 A healthy posture requires training your body to stand, walk, sit, and lie in positions that put the least amount of strain on supportive muscles and ligaments. Your backbone is composed of 33 vertically stacked bones, called vertebrae, that are cushioned by discs. You may think those disks and spinal fluid would be enough to protect your spinal cord and nerves. 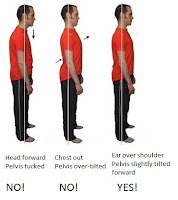 However, it is your posture that best protects your spine and the rest of your body from injury.